In a bid to break a stalemate in its attempt to release a full-fledged television set, Apple has reportedly brought ESPN, HBO, and Viacom to the table and is negotiating directly with content providers, rather than cable companies. As Apple moves closer to releasing its oft-rumored television set, the Cupertino company is said to have altered its go-to-market strategy, bypassing cable companies that have long balked at Apple's terms in favor of direct negotiations with content providers, according to a report published Thursday by Quartz. The negotiations reportedly center around a new, Apple-branded television set rather than the company's existing Apple TV product. Apple is said to be willing to enter the market even without a majority of the content providers signing on, betting that a small amount of high-quality content will drive enough consumer demand for the product that the rest will have little choice but to follow. 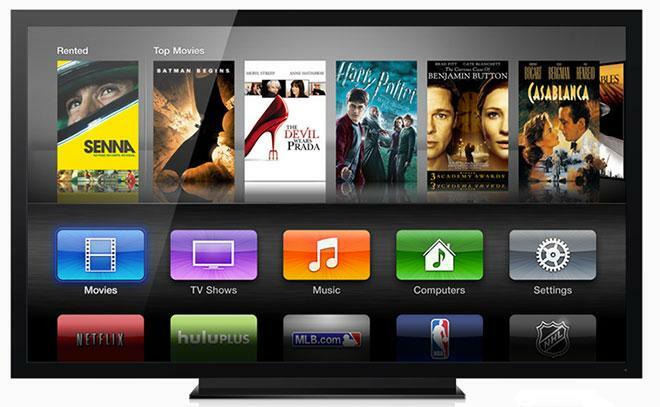 Apple's rumored plans to build a television set are said to hinge around content deals. Having made no progress with cable companies, Apple is said to be speaking with content providers directly. The report suggests that Apple may be willing to go as far as to become a virtual cable company itself, mirroring rumors leading up to the iPhone launch in 2007 that Apple would form an MVNO  or Mobile Virtual Network Operator - to provide mobile telephony services for its new device. The report notes that Sony, Google, and Intel are considering similar options for their own television strategies. Apple and Viacom refused to comment specifically on the negotiations, while ESPN's Chris LaPlaca said that "there are no formal discussions taking place" and HBO's Jeff Cusson said they "have no plans to go over the top or to enter these markets in a different way." Reportedly, an Apple television set would follow the company's iOS paradigm of organizing content around apps, moving away from the traditional channel model. Apple might also offer cross-app search functionality, further abstracting the content from the specific providers. The report goes on to link recent Apple acquisition of content aggregator Matcha.tv, revealed earlier this month, as well as Apple's rumored $280 million offer for PrimeSense, the Israeli firm whose technology is behind Microsoft's Kinect, to Cupertino's evolving television strategy. Rumors of an Apple television set have remained for years, but they picked up considerable steam in late 2011, when biographer Walter Isaacson revealed that late Apple co-founder Steve Jobs had said he felt he "cracked" the secret to a simple television set. Apple Chief Executive Tim Cook added fuel to the fire when he said in an interview last year that current television sets make him feel like he's "gone backwards in time by 20 to 30 years."